#Mizzou Madness, Vienna Syria Conference, Paris Terror – ITEL Radio – 11.14.15 | Inside the Eye - Live! Inside the Eye – Live! for November 14, 2015 covered a wide range of topics, including the recent ASPA Summit in Riyadh, Saudi’s “soft anti-terror plan”, the Vienna Syria negotiations, the “Madness of #Mizzou”, listener calls and much more! The 4th gathering of the Summit of South American-Arab (ASPA Summit)countries was held in Riyadh, Saudi Arabia on November 11 and 12. The ASPA Summit consists of the 22 nations of the League of Arab Nations and 12 nations from South America. Due to the heightened security, combined with excessive infrastructure upgrades to Riyadh road system, the event resulted in many government and education facilities being given the two days off, as well as requests that all non-essential travel into Riyadh be avoided. More foundation details about the ASPA Summit here. 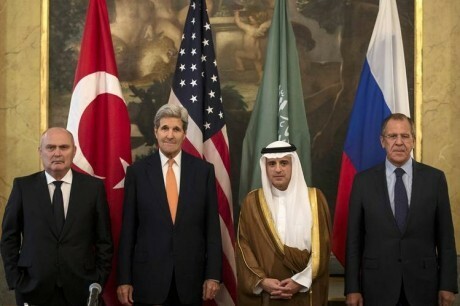 Ongoing negotiations to resolve the Syrian conflict continued with meetings in Vienna. 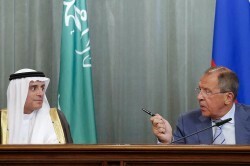 Prior to the meeting on Saturday, November 14, 2015, Russia, in apparent collaboration with Iran, put forward a proposal to end the 4 year old conflict. â€œ1. List ISIL (Islamic State) as a terrorist organisation by the UNSC (UN Security Council). 2. Agree on the additional list of terrorist groups. 3. Adopt a UNSC resolution in support of the efforts against ISIL and other terrorist groups, providing legal framework for cooperation of all participants of counter-terrorist actions among themselves and with respective governments. 4. Block channels of supply of ISIL and other terrorist groups; stop illegal trade in oil by ISIL in accordance with UNSCR 2199; prevent control of oil fields by terrorists. The Fetch discussed some of the key points of the Russian Peace Plan. It was initially rejected out of hand by the United States, but a subsequent plan released on Sunday that was agreed to be the parties borrowed heavily from the initial rejected plan. More here. The final hour was dedicated to the madness that has engulfed the University of Missouri, aka “Mizzou”. 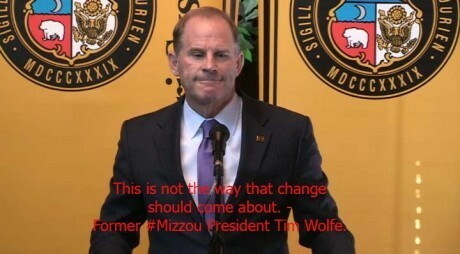 At heart of the discussion is the unfolding reality that a “coup d’etat” that saw the ouster of the University President, Tim Wolfe, brought about by reasons wholly fabricated by the campuses gay, black, student body president. 3) An black accomplice “hunger striker” turned out to be an 8 year grad student and the son of a man worth at least US$8million. More on this story plus the jailing of a German woman, Ursula Haverback, for her role in going public that there is no historical evidence for the “Holohoax”, and much more.